The first feedback is rolling in for our new Income Anywhere! 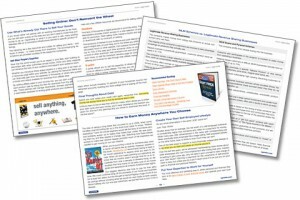 e-book, and from the sounds of things readers are finding it to be a very helpful home based business resource. Colleen is referring to how we stress the importance of having an open mind when it comes to earning an income on your own. We may never have enjoyed our seasonal ranch work if we hadn’t been open to the idea of workamping, and we wouldn’t benefit from building our marketing business if we shunned the idea of legitimate revenue sharing opportunities. No, thank you Micki and Colleen! 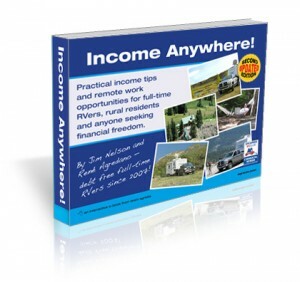 Income Anywhere! includes a multitude of resources we have discovered over the more than 15 years we have worked for ourselves from home. In addition to describing the various proven methods we now use to support our dream lifestyle, we have included hundreds of links to helpful websites and other recommended reading. Whether you’re looking for ways to easily sell products online, find remote employment opportunities, or build a marketing business of your own, Income Anywhere! is for you. We hope readers will find our story inspirational, but we now know they will find the material we have compiled beneficial. If you have downloaded our e-book, please be sure to send us your feedback. 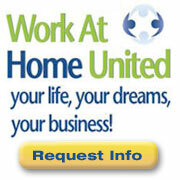 Leave a comment below or post on our LiveWorkDream Facebook page. Stay tuned for more reader reviews, and if you have not already downloaded your copy use the share link below to reveal your $5.00 coupon off the purchase price. That’s a potential life-changing resource for less than the price of a large latte!